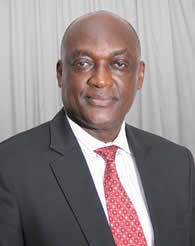 He is a seasoned Lawyer by profession and a Senior Advocate of Nigeria (SAN). He obtained his Bachelors of Law from the University of Lagos (1989) and was called to the Nigerian Bar in 1990. He is also an Alumnus of the University of Dundee, UK (2007). He has vast experience in Commercial Litigation, Arbitration, Energy, Aviation and Maritime Law and also on Tax matters. He is currently the Chairman of NOI Polls Limited and serves in various capacities in companies amongst which are: Co-Chairman, Nigerian Bar Association Committee on Rule of Law; Secretary, Board of Trustees, Centre for the Study of the Economies of Africa; Chairman, Aviation Committee, Sector on Business Law of the Nigerian Bar Association. He previously served as a member of the Executive Nominations Committee of the Nigerian Sovereign Investment Authority amongst others. He was appointed into the Board of TrustBond in January 2013. Adeniyi A. Akinlusi holds a B.SC (Accounting) degree from the University of Ilorin and M.B.A (Marketing) from the University of Lagos. He is a Fellow (FCA) of the Institute of Chartered Accountants’ of Nigeria (ICAN), Fellow (FCTI) of the Chartered Institute of Taxation of Nigeria (CITN), Fellow (FICA) of the Institute of Credit Administration (ICA), Fellow (FIAPM) of the Association of Investment Advisers and Portfolio Managers and Honorary Senior Member of The Chartered Institute of Bankers of Nigeria (H.C.I.B). He is an alumnus of Harvard Business School (Boston, U.S.A), Institute of Management Development (Lausanne, Switzerland), Lagos Business School (Lagos, Nigeria) and Frankfurt School of Finance and Management, (Frankfurt, Germany). He has also benefitted from leadership training in other top international business schools such as the Wharton Business School of the University of Pennsylvania (Philadelphia, Pennsylvania), I.E.S.E Business School (Navarra, Spain) and London Management Centre, (London, England). A multiple award winning Banker, Adeniyi Akinlusi is a versatile, self and result driven professional with over 26 years extensive experience in leadership positions in banking, strategic management, corporate turnaround and transformation. His entrepreneurship skills were honed with the transformation of Partnership Savings & Loans Limited to Intercontinental Homes Savings & Loans Plc and then to TrustBond Mortgage Bank Plc following the divestment of Access Bank Plc from the Bank in 2013. Adeniyi Akinlusi is the Managing Director/Chief Executive Officer of TrustBond Mortgage Bank Plc, the President of the Mortgage Banking Association of Nigeria (MBAN) and a member of the Governing Council of The Chartered Institute of Bankers of Nigeria (CIBN). Engr. 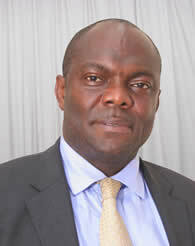 Dr. Emmanuel Tayo Alabi is a 1979 Civil Engineering graduate of the Polytechnic Ibadan. He also has a Masters Degree both in Civil Engineering and Public Works Engineering from the University of Pittsburgh in United States of America (1985). He was awarded PH.D Engineering (Honoris Causa) by Bradley University, Washington DC in 2000. He is a fellow of the Nigerian Society of Engineers (FNSE), Fellow Nigeria Institution of Structural Engineers (FNIStrctE), Rigistered Member, Council for the Regulation of Engineering in Nigeria (COREN), Member of the British Institution of Highways and Transportation (MIHT), American Society of Engineers (MASCE) and Pennsylvania Society of Engineers as well as the Nigerian Institute of Management (MNIM). Engr. Alabi has worked in various organizations including Ministry of Works & Transport, Ibadan 1971 – 1973, Julius Berger Construction Company 1976, Associated Engineers & Consultants, Ibadan 1976 – 1977, Bedictor Company Limited, Calabar July 1979 – Dec 1979, Lagos State Development and Property Corporation, Ilupeju, Lagos Jan 1980 – May 1980, Landscope Consultants, Ibadan 1981 – 1983, Wilbur Smith Associates, Pittsburgh, USA 1984, Merrit Engineering & Construction Co. Ltd. He is the Managing Director/CEO of Dabtay Nigeria Ltd since 1986 till date and also the Managing Partner and President of Tayo Alabi & Associates & Oakland Consults. Engr. 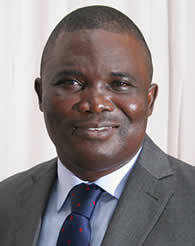 Alabi is also a Director and Chairman in some other organizations. 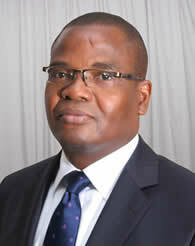 He was appointed into the Board of TrustBond Mortgage Bank in November 2011. Mr Kalu is a graduate of Political Science from the University of Nigeria, Nsukka (1982) and holds a Master’s Degree in Public Administration from the same University (1985). He is an astute banker whose banking experience spans well over two decades. He left Equity Bank of Nigeria Limited as an Executive Director in charge of Consumer Banking, Treasury and Financial Institutions. He is presently the Managing Director of SouthGlobe Ltd and a member of the Board of various companies. He was appointed into the Board of TrustBond in January 2013. Mr. Tamuno is a graduate of Law from the Rivers State University (1994). He was called to the Nigerian Bar in 1995. He is highly experienced in Corporate and Commercial Law. 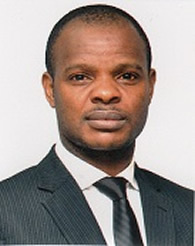 He has acted for various multi-national organizations and multilateral institutions on issues concerning compliance with Oil and Gas, Telecommunications and financial industry regulatory requirements. He acts as legal counsel in both local and international project finance and other financing transactions. 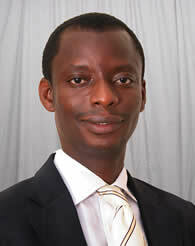 He is presently a Partner in Streamsowers & Kohn, Lagos, where he heads the Corporate Commercial Law Department. He was appointed into the Board of TrustBond in January, 2013. She is the Managing Director/Chief Executive Officer of Mahogany Capital Limited and a Director of Gresham Asset Management Limited. She is a Fellow of the Institute of Chartered Accountants of Nigeria, (FCA) and a Fellow of the Chartered Institute of Taxation of Nigeria (FCIT). She also holds a Post Graduate Management Diploma from the prestigious Harvard Business School, Boston, USA. 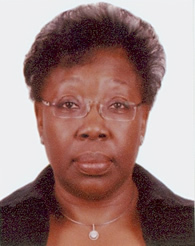 Mrs. Ifezulike has over 20 years’ experience in Banking with specialization in Branch Operations, Financial Control, Financial Advisory, Investment Management and Treasury, Private Banking and Management Information Services. Prior to her position as the MD/CEO of Mahogany Capital Limited, she was the pioneer MD/CEO of Afribank Capital from 2007 to 2012; she was a General Manager in charge of Corporate Finance Department at Afribank Nigeria Plc. She worked for Afribank International Limited (Merchant Bankers), Ojike, Okechukwu & Co (Chartered Accountants) as well as Kapital Securities Limited. A registered Capital Market Operator, she has extensive training, both locally and internationally in financial management and administration. She was appointed into the Board of TrustBond in April, 2015. She is the Business Development Director of Landmark Group, an Africa focused real estate services Company with offices in London, New York, Johannesburg, Lagos, Accra, Nairobi, Mauritius, Tunisia and Ivory Coast. Landmark is in the business of acquiring and developing realty for commercial and residential purposes amongst others. As Executive Director in Landmark, she reports to the Board on the Group’s project and corporate finance needs, strategic, tactical and operational management of the company while as Global Head of Corporate Finance, she is responsible for raising debt and equity funds for various real estate and serviced office expansion projects running into several millions of Dollars. Mrs. Nicol-Omeruah has over 15 years banking experience with specialization in Property Finance & Acquisitions, Mortgages, Private Banking, Investment Planning, Insurance Protection, Retirement Planning, Estate Planning and Offshore Planning. She is a Real Estate Finance Professional and a Certified Mortgage and Financial Adviser (CeFA, CeMAP) by the Institute of Financial Services, United Kingdom. 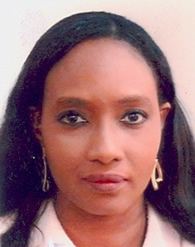 She is a recognized industry expert in the Nigerian mortgage and real estate development market. Prior to her appointment as Business Development Director of Landmark Group, she was Head of Property Finance & Acquisition and Head of Home loan of Stanbic IBTC. She also worked as Senior Wealth Planning Manager at Lloyds TSB Private Banking UK and Premier Financial Planning Manager of HSBC Bank Plc, UK between 2002 and 2008. 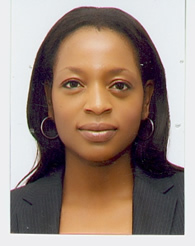 She is the Sales & Marketing Director of MEGALECTRICS NIGERIA LIMITED as well as Human Resources Director between 2009 to date. The company operates through The Beat 99.9 FM, Classic 97.3 FM and Naija 102.7 FM, all Radio Stations. She had a stint in the banking industry having worked with the then Continental Merchant Bank Plc excelling in the areas of Public Relation, Advertising & Press Relation, Interbank Treasury Dealership as well as Capital Markets activities between 1987 and 1995. Mrs. Obi-Okoye is also versatile in the areas of marketing having worked with Steam Broadcasting & Communications Limited (96.9 Cool FM) between 1998 and 2003. Between 2003 and 2009, she served as Communications Manager with the Lafarge Group in-charge of Internal Communications, External Communications and Promotional Activities before moving back to her preferred area of sales and marketing. 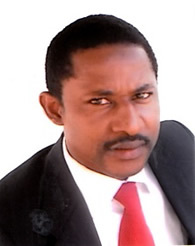 Mr. Okoye holds Bachelor of Law (LLB) and Barrister at Law (BL) from University of Nigeria, Nsukka and the Nigerian Law School in 1992 and 1993 respectively. He is an alumnus of Lagos Business School, and has attended various strategic and leadership courses in Nigeria and abroad including the prestigious Cambridge University, United Kingdom. He started his banking career with Nigerian American Merchant Bank Limited in 1995, which later became Nigerian American Bank Limited, (NAMBL). Mark has over 17years banking experience, holding strategic positions including Head, Legal & Risk Management in NAMBL for 7 years, also Company Secretary of NAMBL from 2004 to 2005 and Acting Branch Manager at FCMB after the banking consolidation in the Nigerian Financial Sector in 2005. He joined Intercontinental Homes in 2006 as Company Secretary/Legal Adviser. 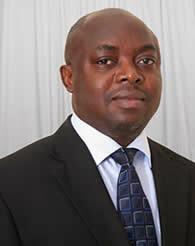 He is the Company Secretary and Head Corporate Services, TrustBond. Adetokunbo Aberuagba is a graduate of Accounting and Finance from Yaba College of Technology and an associate member of the Institute of Chartered Accountants of Nigeria (ICAN). He is also a member of Global Association of Risk Professionals, USA. He has over 12 years working experience in financial accounting and management, auditing, project and risk management. He spent over 10 years of his career in consulting, majority of which is in risk management consulting with H.Pierson Associates Ltd where he grew to hold a management position. 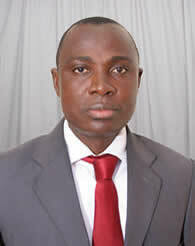 He has worked on many Enterprise-wide Risk Management Implementation projects for financial institutions, mostly banks. Currently he is the Head of Enterprise Risk Management, TrustBond. Oladimeji Akintoye holds a B.Sc. in Banking and Finance from Olabisi Onabanjo University, Ago-Iwoye and a Master of Science in Finance from the University of Lagos. He is an Associate Member of the Institute of Chartered Accountants of Nigeria as well as the Chartered Institute of Bankers of Nigeria. He has over 18 years' experience in accounting, external auditing, finance, banking and tax–related functions. Oladimeji worked as Financial/Management accountant in Pivot Engineering Nigeria Ltd (a subsidiary of Honeywell Group) before joining Financial Control Department of TrustBond in 2007. Currently he is the Chief Inspector, TrustBond. He became the Bank's Chief Inspector in March 2013. Lawrence Ogedegbe is a graduate of Mass Communication from the University of Nigeria, Nsukka. 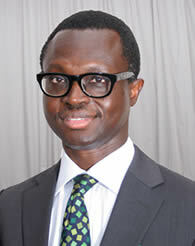 He is also a Barrister at Law (BL) and holds a Master of Business Administration (MBA). 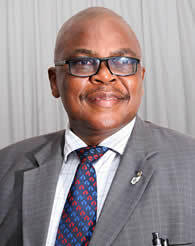 He is a member of the Chartered Institute of Bankers of Nigeria (CIBN). He worked with Tonad Publishers Limited as Assistant Editor from where he joined Gateway Bank Plc and later Equitorial Trust Bank (now Sterling Bank Plc) in 2000 and 2003 respectively. In the course of his banking career he worked in the corporate affairs, operations and business development units. In 2006 he joined TrustBond where he worked as a Team Lead in treasury marketing and two of the Bank’s branches including its Head Office branch. Presently he heads the Human Capital and Administration unit of TrustBond with responsibility also for Corporate Communications.